Hi, my name’s Russell and I’m a live (action) roleplayer. This hobby of mine sees me dress in a bunch of costumes, battle friends of mine (who often become better friends for it), figure/blunder my way through a serious of socially precarious situations, make decisions which affect many, many people and sometimes save the world—or break it. I also write books under the name R.A. Smith, as most of you reading this will likely already know. My involvement with L(A)RP puts me in a number of situations which help me think/reason/bludgeon my way through, often inspiring creative writing, the planning of worlds, designing heroes and villains and coming up with increasingly outlandish plots in which to save or break the world. I gave a talk over the weekend at the LARP Awareness Party in Leicester. In its own way, it was about just that. LARP awareness. I thought it might be nice for them to know what some of the people who walked amongst them on a treacherous Saturday afternoon battlefield did for a day job. It wasn’t all about the namedropping either. Initially, I wanted to say something to counter some high-profile and unfounded negative publicity around my pastime. But when I did a little research, I ran a Google search under ‘famous LARPers’. I’m not going to lie to you, some of the results returned weren’t very nice. Read for yourself if you feel the need, but I’m sure as hell not linking them up here. So I took a step back after that and looked at what it was I was actually trying to find. It raised one big question with me: how exactly am I defining ‘famous’ here? What *is* fame within the context of this query? And once I’d done that, I found myself well on the way to an answer. There are some other people you might know who have at the very least dabbled, such as Paul Ross, Ben Elton and Dara O’Briain, who fellow LARPers may well know did a wonderful stand-up comedy routine, quite tailor made, a while ago. If you haven’t seen it, you really should. Roleplaying, whether pencil and paper on a tabletop or donning a suit of plate, involves a certain amount of ‘getting into character’. Certainly a relation of acting then, in which you may have more of a script, but very much have that same challenge to face. I like, then, to think of it as a ‘gateway’ hobby. A computer gamer may find their RPG leads to dabbling in tabletop gaming, wargaming and/or LARPing, with the reverse also true. There are plenty of people out there who know much more about cosplay than me, but if you’re anywhere near the Internet at all, even if not a participant, you’ll be aware of its popularity. There’s a clear connection with LARP in that character and attire bear importance, though the costume onus is to provide an interpretation (not necessarily a replica), of a known character from another medium, such as a film or animation. Now this brings me back to that question on how to define fame. Constant interest from the media likely confers a person a degree of fame in the more traditional sense. But surely the rise and rise of social media confers fame in very much the same way? I mentioned Jenna Marbles as a good example of social media celebrity power. Within the hobby, we have Tabitha Lyons. 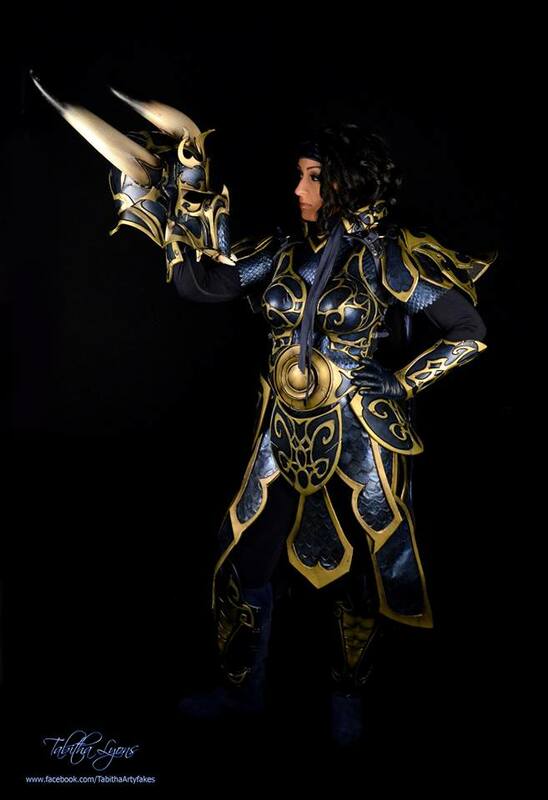 As well as creating some magnificent props, armour and armaments with Artyfakes, Tabitha is a cosplayer of some renown, being not far off a quarter of a million likes on her Facebook page at the time of writing. All that, and she can occasionally be found in a faction or nation somewhere amongst us. If you’ve ever read my bio, you may have seen that I’ve had a few stints as a Tudor. Pay a visit to certain places of interest and you will find historical interpreters quite literally bringing history to life. Playing the roles of either well-known figures from the past, or lesser-known characters from a specific era, they will take you there with their performances, providing a balanced blend of entertainment and education. Dan Osbaldeston has played many parts, including a number of King Henrys and other famous and infamous figures at the Tower of London, Dover Castle and Sherwood Forest, amongst others. Be sure to catch History’s Maid as well. Kate, the director, has been working hard with the BBC of late during the Great War centenary activities planned for this year. And last but not least, writers. There is of course, Jim Butcher, of the Dresden Files amongst others. It’s in his bios and everything. Another is Adrian Tchaikovsky, of the Shadows of the Apt fantasy series, a number of shorts and about to take the sci-fi world by storm. There’s Craig Hallam, a Steampunk Market veteran like myself and author of Greaveburn, and K.T. Davies, author of The Red Knight (which you should read if you haven’t already), who I have had the honour of fighting alongside in the past. And I believe Steven Erikson belongs on this list too, at the least because of a tabletop RPG campaign or two certainly helping with the writing. [EDIT:] You see how a bit of sleep helps? I’m going to let you into a not so secret secret organisation who readers of my novels may have noticed popping up in the credits: the ‘Tea Society’. Amongst them, Ninfa Hayes and D.A. Lascelles. Now, I’ve had a strong enough response to put up a second part – more authors, occupations and the like that I already have names for! Drop me a message if you think I’ve missed anyone. So there you have it. That’s quite some list, eh? I don’t think that even scratches the surface of who we have amongst our ranks, and I’m sure some of you will be able to mention even more people worthy of honourable mentions. A hobby to be proud of, for sure. Esther – absolutely! I would be delighted. Let’s make this happen. 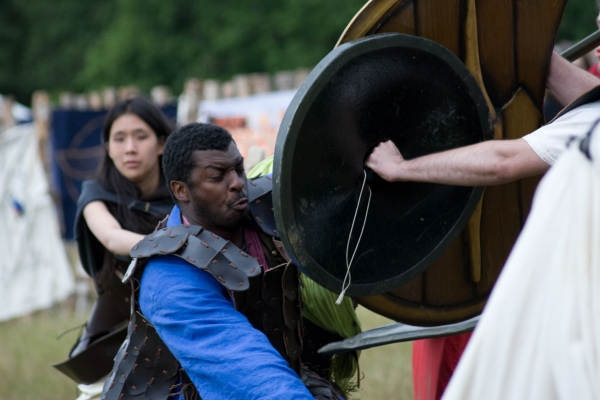 What is it like to be up close in a “fight” while LARPing? What is it like being up close in a battle while LARPing? This is a pretty tricky question to answer, and lots of ways to answer it. I think I’d have to ask for a more specific question, otherwise the answer you’ll get back from me will simply be, ‘fun’! I realize that the question that I asked beforehand was vague, so I’ll reiterate. What thoughts or feelings go through your head when you’re in a battle while LARPing? 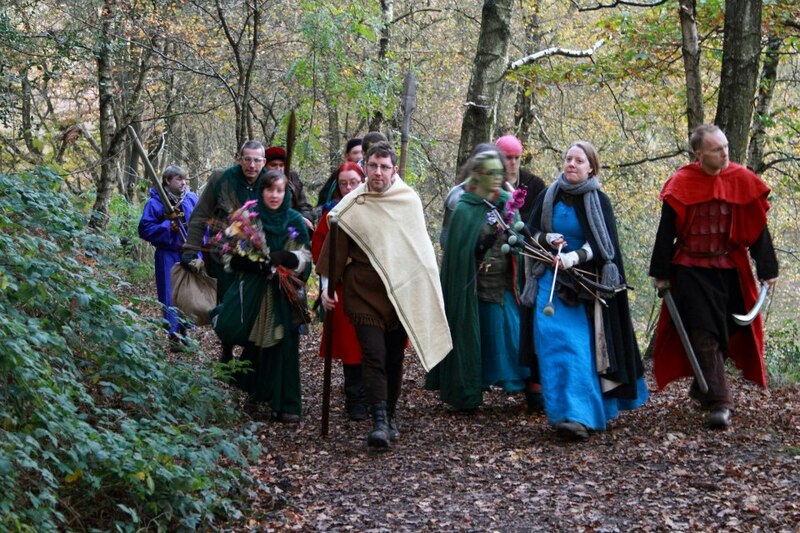 Do you get nervous when you LARP?